Even worse, because it is the low performing and disadvantaged schools that suffer from staffing shortages, the schools with the strongest incentives to take on trainees are often not those that are best placed to support them. High performing schools with excellent working conditions generally have less need to recruit new teachers. As a result, those schools with the greatest strength and stability to deliver training experiences are often not the institutions who are incentivised to do so. Provide funding for reluctant schools to train novice teachers. These are all things that can be done by schools without waiting for policy makers. However, policy too could be changed to tackle that front-loading aspect of teacher training. 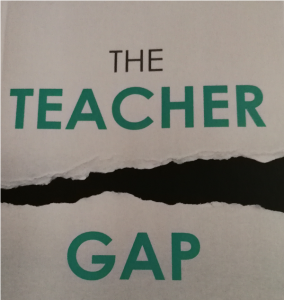 The authors advocate a system whereby it takes two years for a teacher to obtain a diploma, and then a further four years of practice before they obtain their full teaching qualification, all the while receiving support and coaching. In this way, novice teachers would have the space to master their craft in a supportive environment rather than being cast out to sink or swim. These are all sensible, if expensive, proposals. However, in my view, they fail to take into account two things. Firstly, the elephant in the room that is behaviour. The book touches on this issue but doesn’t delve into it far enough. This is a shame, as I think poor behaviour in schools is one of the most critical issues in teacher recruitment and teacher retention. New teachers wanting to engage in deliberate practice of different aspects of teaching – which is what they need to do to become expert – are often compelled to put all their focus on managing behaviour. If we want teachers to develop their teaching, then they need the space to teach without constantly having to fire-fight disruption in their classroom. I would suggest that an important part of the capability judgement on whether a school is suitable to train new teachers or not, is the quality of the behaviour systems in place. As a minimum, new teachers (and experienced ones too for that matter) should not be running their own detentions. School leadership should be visible and proactive in ensuring good behaviour is maintained. The second thing is that it’s all well and good to advocate extensive coaching and mentoring over the course of several years, but this only works if the quality of the coaching is good to start with. I believe there is a deficit of expert people who can help develop good teachers. There are pockets of excellence here and there, but country-wide and system-wide that is not enough. Novice teachers to this day are being taught about learning styles on some ITT courses. There is also a structural bias towards teaching constructivist pedagogy (particularly in the university-based PGCEs), where didactic teaching from the front is frowned upon. How many ITT courses I wonder are introducing their trainees to Rosenshine’s principles of instruction, or discussing the merits of explicit instruction versus inquiry learning? There was an interesting Twitter thread not long ago discussing things people had been taught on their PGCEs which they now realise were wrong. This prompted a prominent academic to censure them for slagging off their courses. In my experience, that type of push back, or gatekeeping, is fairly common and symptomatic of that constructivist or ‘progressive’ bias when it is challenged. The Teacher Gap also discusses other factors which are contributing to the exodus of teachers from the profession. Workload, lack of autonomy and the audit culture in schools are laid bare for the chimera that they are – none of these measures (which have made teachers’ lives much less tolerable) have improved outcomes for students. The message is clear. Restore trust in teachers, and manage out the minority that can’t cope without being audited to extremes. The collateral damage of trying to micro-manage this minority of under-performing teachers is killing the profession. This book should be a massive eye opener for school leaders vested in their tracking systems, or book scrutinies or data drops. I wonder though how many of them are self reflective enough to digest this message? Next Next post: Do we really need the Chartered College of Teaching?